Get the Tar and Feathers, Boys…. 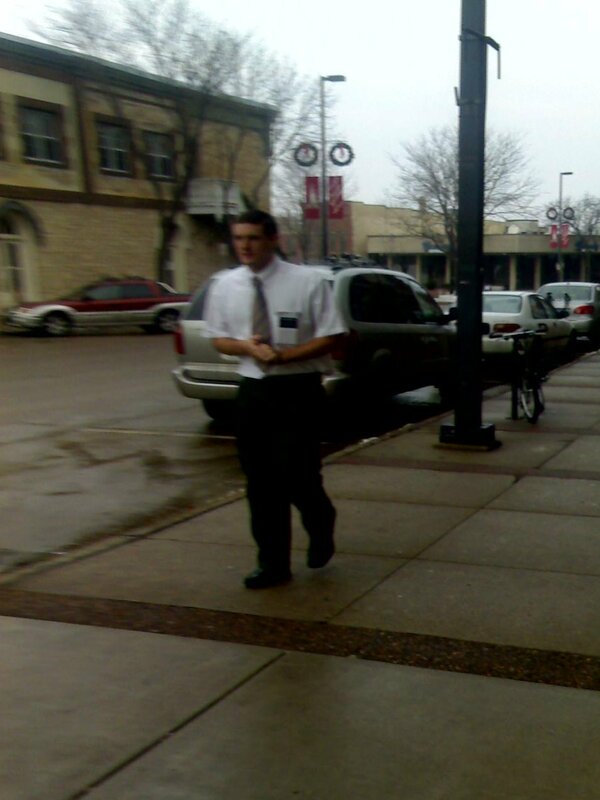 In light of all the anti-religious sentiments posted here lately, I thought I’d perform an act of community service and warn people that there are a couple of very young and adorably sincere Mormons accosting innocent citizens on Division Street this afternoon…. John T.- Romney campaign- HA! That’s great! And, while we’re starting political rumors, were these guys planted there by the Clinton campaign? HA, again! Although I don’t agree with their theology, I defend their right to “accost” people on the street corner, just as some people seem to have a right to try to make a living by “accosting” me on the phone while I’m trying to eat dinner. The problem with trying to have religious freedom is that there are so many religions you have to tolerate. It is a good exercise for us, though.